There are few third-party DAW plugins that could be considered absolutely necessary. 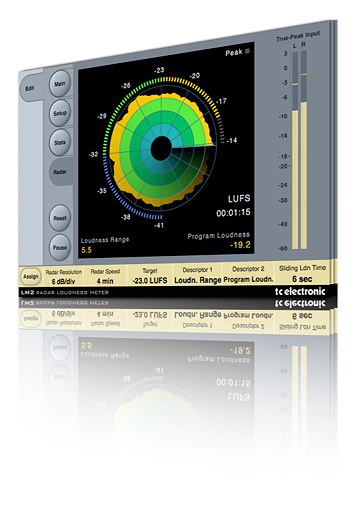 The big-gun developers of digital-audio workstations typically bundle all you really need. Sure, a GAS-driven list of desires may fill many pages, but a list of absolute, honest-guv'nor essentials will be short. The DAW's virtual-desk equalization may well be adequate to the task of sculpting frequencies. And bundled plug-ins offer dynamics, ambience and SFX control compliant with the bog standard. However, there is one plug that could make the difference between having a global audience for your mixes and having no audience at all. It's neither a fashionable audio-mangler currently appearing on every track that makes the top 100, nor is it an old secret weapon known only to a star chamber of producers. Prosaically, the plug is a meter, such as the TC Electronic LM 2 or LM6 Radar Loudness Meter. Both are sonically unsexy (inaudible if doing the job right) and, as you'll have noticed from this post's header, the 5.1 surround-sound LM6 is serious money . However, getting a grip on the level of your programme material is essential when aiming to have it broadcast, sell it via download and ensure it plays back OK on the audience's audio devices. 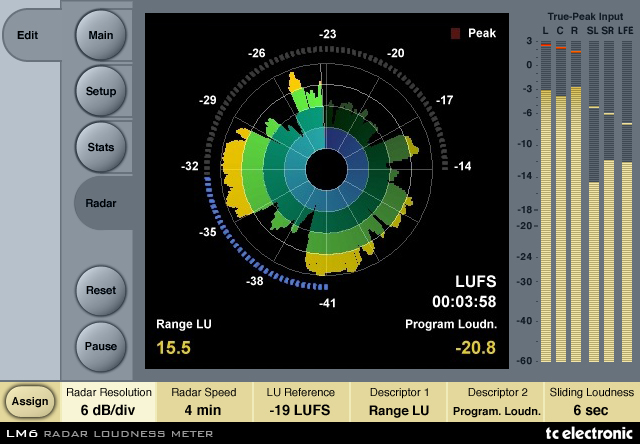 While a DAW's mixer may indicate unacceptably high peaks, as well as inadequate level during quiet bits, simulated LED meters show a transient view and do not offer insight into perceived loudness. 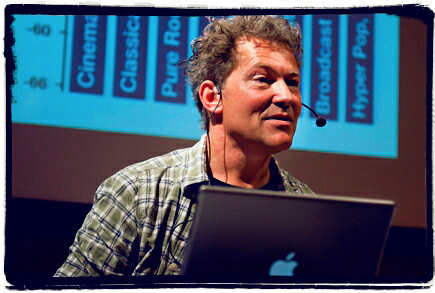 You'll have heard of the 'loudness war'. No? Suffice to say that broadcasters and online retailers selling downloads have standards governing what is acceptable audio. Obviously, distorted material won't get a look-in, but it's not so easy to spot if you're being brave and mastering on your own equipment. A good few novices come unstuck by normalizing to 0dB. You'd think that if nothing exceeds zero, it should be fine and it could well sound just fine on your own system. However, downstream digital decoders are prone to getting the numbers wrong when fed hot masters, while standard metering systems do not flag up true peaks. Consider that you're serving a series of values (44,100 values a second at CD quality) that define an analogue waveshape. When there are two values either side of a peak, the wave will ramp above 0dB between the two values, then down again. Thus is the inter-sample peak clipped, which is heard as, yes, 'clipping'. Not the smooth clip of an overdriven vacuum tube, but the harsh, sharp-edged distortion of a wave distressed by dodgy digital-to-analogue conversion. 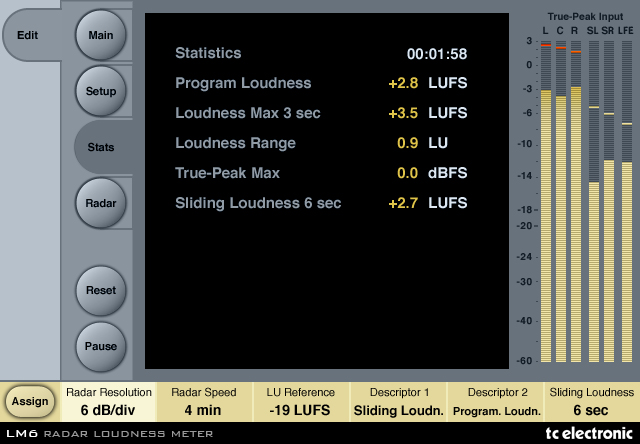 Then we've perceived loudness, which is where we get into LKFS, LUFS, LU, True-peak an' that. I'll spare you the heavy audio-engineering stuff and pounce on a tech-driven cultural shift. The old record-industry model is disintegrating thanks, in large measure, to the internet. Artists are looking to more diverse music-distribution platforms than traditional record releases and concert appearances. Pro production-quality recording kit has migrated into the project studio and its output careens downstream on an ever more circuitous course. There's CD; vinyl's second coming; such compressed download and stream-friendly formats as MP3, AAC, Ogg Vorbis and the audio component of F4V; syncing for film-theatre, DVD and video games; syncing for digital TV and radio; sample-heavy remixes and mashups further warped by studio gadgetry; and, yes, manuscript (thank you Mr Beck - can't wait for the wax cylinder album). On stage, digital recording and playback technology makes a showing, sometimes to the bemusement of a global Olympic audience (thank you Mr McCartney). And this digital technology has prompted all-out war, not merely between folks fighting over who wields the TV remote, but among crumbly record-industry supremos and seemingly deaf advertising creatives working in broadcast. The hostilities are much to do with the perceived loudness we met earlier and it's all elegantly explained by TC Electronics' own HD development manager Thomas Lund. He's scribed a sterling paper on all you, as a muzo, need to know about the subject. It's titled Loudness Authority and is a must-read for any recording musician who actually gives a stuff. So, why are we looking at the LM6 when the stereo-only LM2 is priced at a more muzo-friendly €159/$199? Because it's what those nice people at TC supplied and, of course, it works with stereo and mono files, too. 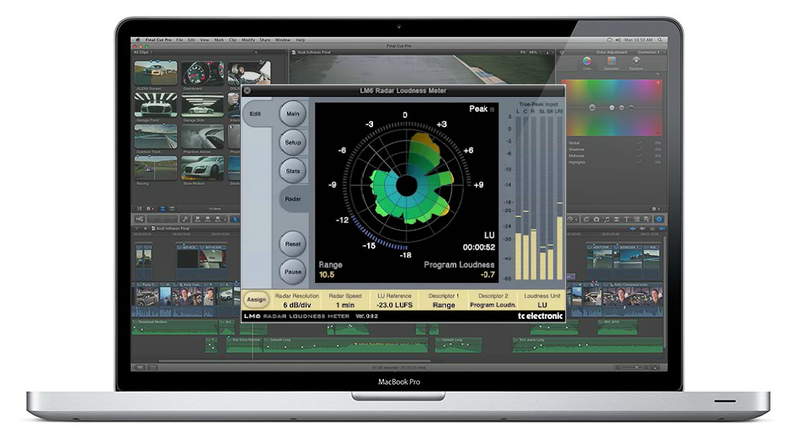 Both are available for Mac and PC running DAWs in 32 and 64-bit environments and will slot right in as AU/VST/RTAS/AAX. Each complies with European, American and Japanese broadcast standards based on Leq(K), eg ITU BS.1770-2, ATSC A/85 and EBU R128, while the latest v1.2.1 update introduces ITU-R BS.1770-3 compliance. Yes, you're going to have to read Lund's Loudness Authority after all. Many of the observations below apply to the LM2, although value-for-money is considerably enhanced for the majority metering in stereo and not 5.1 surround. This radar level meter takes very few resources from the system and its visual presentation can be tweaked so that it doesn't intrude overmuch on the workspace. If you're driving Pro Tools, there's the means to analyse a mix offline, which is a timesaver if working on a collection of tracks. The usual level meters show at right, but the main selling point is the circular display which, once configured to the running time of the material, shows peak and perceived level as it fluctuates throughout the programme. This is brilliant. Once the render is made, you can see if the audio is too hot at any point for distribution, or whether the level dips to unacceptably low. 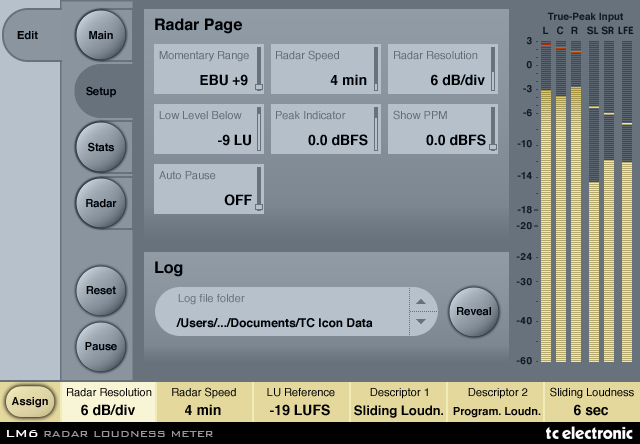 In other words, Loudness History, Momentary Loudness, True-peak Level, Program Loudness and Loudness Range (LRA) are made plain in a single view. Armed with such knowledge, it's up to you to tweak things to ensure your works stand a chance of being heard outside of the studio. There's little point in crafting tracks to your own satisfaction if they're going to fall foul of audio techs a-lurk downstream. It's heartening that TC Electronic is backing continued development of these plugs (shame the same cannot be said of the sadly discontinued PowerCore co-processor - humph!). Both LMs are keeping abreast of new audio standards as they're developed and adopted by various aspects of the industry, from d/l music distribution to film and telly. So far, updates are free to registered users, so let's hope that continues. As you'll see from the images, the LMs are highly configurable, although a healthy serving of presets is on hand covering common deployments, so there's another time-saver. Price-wise, if you're into 5.1 surround, be prepared to fork out a fair whack to equip the studio with radar. But then, if you can afford five satellites and a sub, and are working in pro video and film, surely the LM6 is not such a stretch. For the majority bringing stereo music to market, $199 is a paltry sum if it makes the difference between having an audience and not. You could save dosh and wing it on levels, but if halfway serious about giving your sound the exposure it deserves, forego that last, premium, audio-deranging plug and plump for an LM that keeps levels within range.